This story is my contribution for the ’100-Word Challenge for Grownups’, (100WCGU) from Julia’s Place. Click here to find more details. 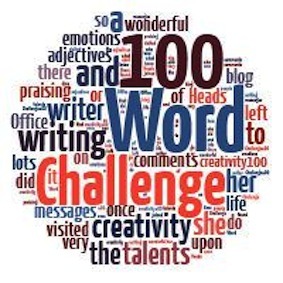 Please read the other stories in this challenge, by clicking here. As a young man, Bill had always wanted to have Millions in the bank and live the good life, in a mansion by the sea. Most of all, though, he wanted to leave a legacy for his family. Poor Bill, being the dreamer he was, never got those business ideas off the ground. Having an ordinary job made him feel like a failure. Now Bill’s retired, he spends lovely long weekends with his wife and grandchildren, in their caravan by the sea. What a valuable truth you’ve highlighted. I’m sure I cannot count the men who have “felt” like failures because they never measured up to someone else’s idea of success, but who have given of themselves to family and friends in ways that made life exceedingly rich for many. People need to be reminded. I was especially interested to read your story because of the title. This week, in response to Julia’s challenge, I featured a poem by one of the students in my creative writing class (as well as one by me), and she wrote on “time and tide,” but from an altogether different perspective. She did a lovely job on her poem, but your take on time and tide is certainly much HAPPIER than hers. Thank you for your kind comment. I don’t think we can ever fully appreciate the effect we have on the lives of others.